One of my pet peeves when it comes to books is authors who double-dip characters in books that aren’t part of series, because I feel like I am always missing something. That was precisely the case of what happened with The Night Ferry. I knew that the author had written a series, but for my purposes, I wasn’t looking to starting a new series, so I opted to read what I assumed to be a stand-alone. 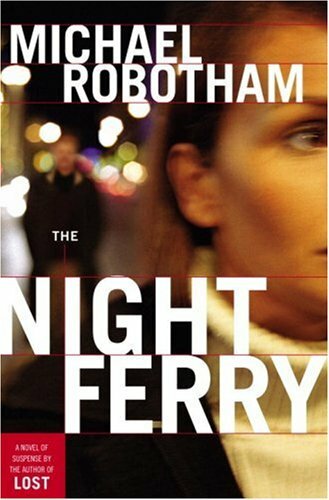 Unfortunately, I soon found out that while The Night Ferry was technically a stand-alone, the author did refer back to events that had occurred in previous books. So I ended up spending a good portion of my time, puzzling that out (my library didn’t have any of the other books in audio format and I was looking specifically for an audiobook at the time). When viewing other reviews of this book after finishing it, it does appear as though I wasn’t the only person who felt that way, which was nice to see. Overall, I liked the story that was presented, although at the same time it did seem to be very obvious from the beginning as to where the whole storyline was going. I wasn’t surprised by any of the twists in the story as they occurred. Based on my experiences with this book, I am not sure whether I will rush out to try this author again, but at the same time, I do have my standard, at least two books by an author prior to giving up on them. so maybe I’ll check out one of the books in the series and see how that plays out. This is the first time that I have listened to a narration by Clare Corbett but I ended up enjoying it. I felt that she had a good range of voices that she used through-out and I didn’t feel like any of the voices had been over-done or repeated through-out the various characters. I will likely pick up other books narrated by her in the future to see if she can maintain this ability in other books.